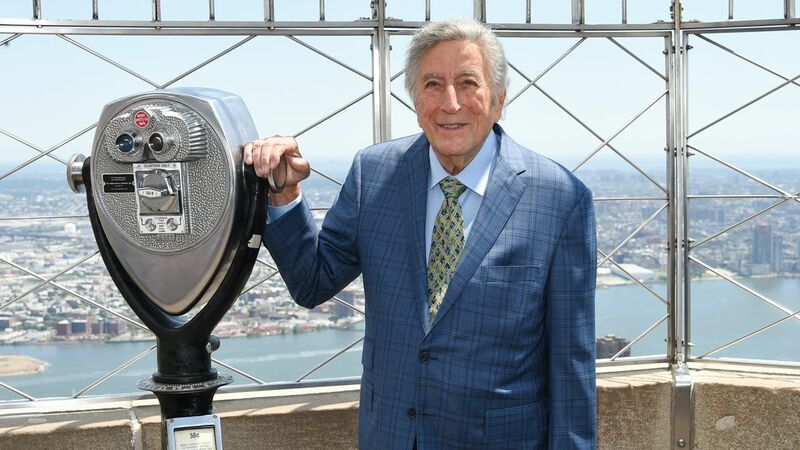 MIDTOWN, Manhattan (WABC) -- The Empire State Building held a special tribute for New York City native Tony Bennett's birthday Wednesday. The iconic skyscraper put on a choreographed music-to-light show to honor Bennett's musical legacy on his 90th birthday. Afterwards, the ESB was lit up in the colors of the Italian and American flags, as Bennett is Italian-American. The Empire State Building hosted a party for Bennett, and Lady Gaga flipped the switch for the building's light show. In addition to Lady Gaga, Stevie Wonder, Bruce Willis, John Travolta, Kelly Preston, Katie Couric, Martin Scorcese, Regis and Joy Philbin were all in attendance. The ESB posted video of the show on its YouTube page.